The Link is a beautifully subtle 5 reel designed to help you make the most out of your stake by offering a significant number of paylines and free spin bonuses. The symbols of this game almost replicate that of a PlayStation controller so will be highly familiar to those of you who play slots online regularly. This is not the game you're looking for? Try playing these casino slots at Wizard Slots then! Wizard Slots brings you Gamevy - an award-winning gaming developer who thrives on developing high-quality and cutting-edge online slot games. If you were to look through their huge repertoire of games you will perhaps come across a few games that you may already be familiar with such as lottery games like Boss The Lotto or Diamond Deal. A lot of Gamevy’s games have a certain game show stage set theme about them and this certainly does attract a specific type of player. 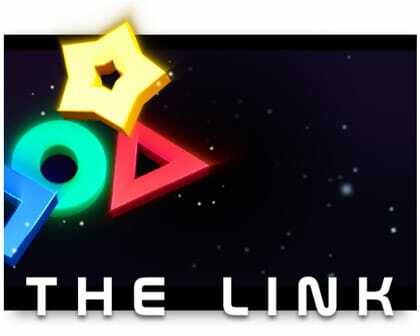 The Link is an exciting game filled with space exploration and futuristic imagery with a three reel by three reel gameboard that features many colourful and angular symbols. Along with the vibrant colours we have 8 dazzling paylines for you to sink your teeth into. You may be thinking that this game doesn’t sound too appealing. Where're the 5 reels? Where’s the exciting graphics and bonus games? What the link offers is simplicity at its highest quality. The Link is one of the popular online slots with sophistication. Betting structures on this game range between £1 and £10 with the 8 paylines being optimised to give the gamer the maximum chance of winning. In addition to the simplicity of this game, there’s also a great auto spin feature that allows users to spin anywhere between 25 and 100 spins automatically all by one click of a button. 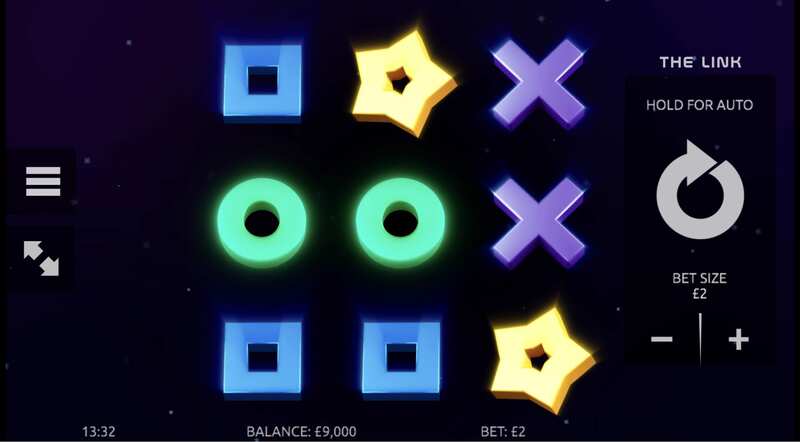 This means that if you feel like it, you can click autospin, go make a cup of tea, and by the time you come back you may have some lovely cash reward and free spins just waiting there for you. The symbols of this game oscillate around a beautiful dark background that replicates the atmosphere of being in deep space. The highest paying symbols in this game are the white diamond and the yellow star which can both help you win up to 5000x your initial bet. This sort of value for money is why the link really excels. The yellow star is also the wild symbol of the game. The red triangle, green circle and cross award you with 4000x, 3000x, 2000x your initial stake respectively and these can be won across all 8 paylines. Whenever you do achieve a winning line you will notice a phosphorescent line appear across your screen which could give way to the reasoning behind the game name. The Link is a simple game by all means. This should not be seen as a lack of quality as this game is far from underwhelming. What this game offers is some great value for money with the WILD symbols of the game offering to pay out a whopping 5000x your initial stake when you win. The Link incorporates a minimalist design and theme with customer orientate features. This generosity alone should not be overlooked. If you liked this game then you will love our Guns N Roses slot.